For the first time, Tipple is now trackside! Offering a gorgeous raceday garden location combined with live thoroughbred racing, Perth racegoers can now celebrate Derby Day and Melbourne Cup Day in sensational style whilst enjoying everything we know and love about Tipple. Combining live local racing with the telecast action of every race from Flemington, until now there has never been a Perth offering that provides all the ingredients that make Australia’s favourite race so special. For those interested in the fashion, the party, the champagne, the food and the simple pleasures of an amazing day out with friends, get ready to enjoy these in abundance as Tipple gets trackside at Ascot. Respecting the time honoured traditions of Derby Day where the ladies dress in black and white, we also celebrate men’s fashion by proudly displaying blue cornflowers on lapels. Then, get ready to reset for one of the biggest and most anticipated race days in Australia, the Melbourne Cup. 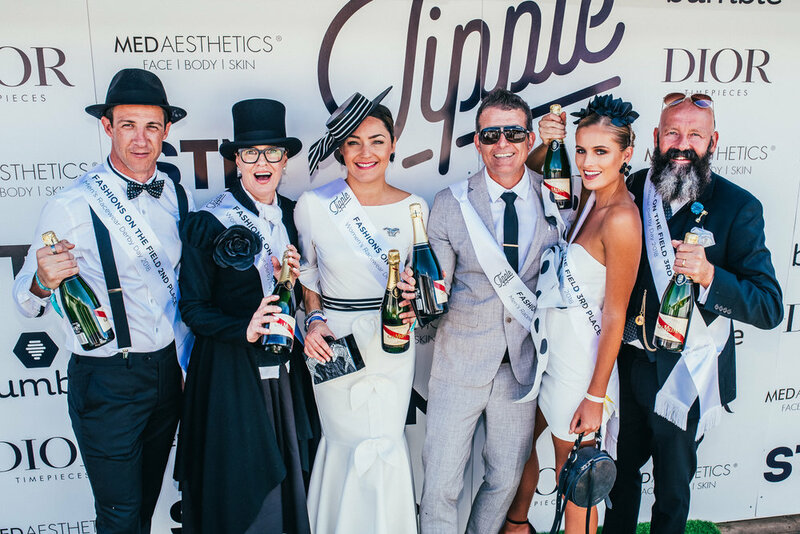 On Melbourne Cup Day we shift our focus to home grown fashion, with the Tipple Parade Ring runway showcasing local designers and set to take place on a never before seen catwalk plus a Fashions on the Field competition with a prize pool worth over $10,000 for 1st place. The Tipple Punt Club is your way to ensure a place at what will be Perth’s most coveted Spring Racing events. Register today to be the first to receive updates regarding tickets and package inclusions. Racewear competitions are held on both Derby Day, and Melbourne Cup Day for both Men and Women. Originating in 1962, the first Fashions on the Field was held nationally, with the format remaining the same today: punters vouch for the winning title of best-dressed throughout the Spring Carnival. Ladies, prepare for a sanctuary in which you can be pampered. Exclusively for the ladies of The Village, The Garden, and The Hedges, the Dior pamper room is more than just a waiting room for the WCs, it’s a sanctuary to touch up makeup and tidy up hair, or to relax with an iced water whilst freshening up. The Dior Pamper Room will be equipped with illuminated make up mirrors, comfortable lounges, a manned water station and will be staffed by hair stylists, a concierge and the beauty experts from Alison Jade Cosmetics.